I am deeply honoured by the Holy Father’s invitation to speak in this gathering: as the Psalmist says, ‘Ecce quam bonum et quam jucundum habitare fratres in unum’ (JVDH Ps133Hoe goed, hoe mooi is dit as broers eensgesind saam woon!) The gathering of bishops in Synod for the good of all Christ’s people is one of those disciplines that sustain the health of Christ’s Church. And today especially we cannot forget that great gathering of ‘fratres in unum’ that was the Second Vatican Council, which did so much for the health of the Church and helped the Church to recover so much of the energy needed to proclaim the Good News of Jesus Christ effectively in our age. For so many of my own generation, even beyond the boundaries of the Roman Catholic Church, that Council was a sign of great promise, a sign that the Church was strong enough to ask itself some demanding questions about whether its culture and structures were adequate to the task of sharing the Gospel with the complex, often rebellious, always restless mind of the modern world. The Council was, in so many ways, a rediscovery of evangelistic concern and passion, focused not only on the renewal of the Church’s own life but on its credibility in the world. Texts such as Lumen gentium and Gaudium et spes laid out a fresh and joyful vision of how the unchanging reality of Christ living in his Body on earth through the gift of the Holy Spirit might speak in new words to the society of our age and even to those of other faiths. It is not surprising that we are still, fifty years later, struggling with many of the same questions and with the implications of the Council; and I take it that this Synod’s concern with the new evangelization is part of that continuing exploration of the Council’s legacy. But one of the most important aspects of the theology of the second Vaticanum was a renewal of Christian anthropology. In place of an often strained and artificial neo-scholastic account of how grace and nature were related in the constitution of human beings, the Council built on the greatest insights of a theology that had returned to earlier and richer sources – the theology of spiritual geniuses like Henri de Lubac, who reminded us of what it meant for early and mediaeval Christianity to speak of humanity as made in God’s image and of grace as perfecting and transfiguring that image so long overlaid by our habitual ‘inhumanity’. In such a light, to proclaim the Gospel is to proclaim that it is at last possible to be properly human: the Catholic and Christian faith is a ‘true humanism’, to borrow a phrase from another genius of the last century, Jacques Maritain. Yet de Lubac is clear what this does not mean. We do not replace the evangelistic task by a campaign of ‘humanization’. ‘Humanize before Christianizing?’ he asks – ‘If the enterprise succeeds, Christianity will come too late: its place will be taken. And who thinks that Christianity has no humanizing value?’ So de Lubac writes in his wonderful collection of aphorisms, Paradoxes of Faith. It is the faith itself that shapes the work of humanizing and the humanizing enterprise will be empty without the definition of humanity given in the Second Adam. Evangelization, old or new, must be rooted in a profound confidence that we have a distinctive human destiny to show and share with the world. There are many ways of spelling this out, but in these brief remarks I want to concentrate on one aspect in particular. To be fully human is to be recreated in the image of Christ’s humanity; and that humanity is the perfect human ‘translation’ of the relationship of the eternal Son to the eternal Father, a relationship of loving and adoring self-giving, a pouring out of life towards the Other. Thus the humanity we are growing into in the Spirit, the humanity that we seek to share with the world as the fruit of Christ’s redeeming work, is a contemplative humanity. St Edith Stein observed that we begin to understand theology when we see God as the ‘First Theologian’, the first to speak out the reality of divine life, because ‘all speaking about God presupposes God’s own speaking’; in an analogous way we could say that we begin to understand contemplation when we see God as the first contemplative, the eternal paradigm of that selfless attention to the Other that brings not death but life to the self. All contemplating of God presupposes God’s own absorbed and joyful knowing of himself and gazing upon himself in the trinitarian life. To be contemplative as Christ is contemplative is to be open to all the fullness that the Father wishes to pour into our hearts. With our minds made still and ready to receive, with our self-generated fantasies about God and ourselves reduced to silence, we are at last at the point where we may begin to grow. And the face we need to show to our world is the face of a humanity in endless growth towards love, a humanity so delighted and engaged by the glory of what we look towards that we are prepared to embark on a journey without end to find our way more deeply into it, into the heart of the trinitarian life. St Paul speaks (in II Cor 3.18) of how ‘with our unveiled faces reflecting the glory of the Lord’, we are transfigured with a greater and greater radiance. That is the face we seek to show to our fellow-human beings. And we seek this not because we are in search of some private ‘religious experience’ that will make us feel secure or holy. We seek it because in this self-forgetting gazing towards the light of God in Christ we learn how to look at one another and at the whole of God’s creation. In the early Church, there was a clear understanding that we needed to advance from the self-understanding or self-contemplation that taught us to discipline our greedy instincts and cravings to the ‘natural contemplation’ that perceived and venerated the wisdom of God in the order of the world and allowed us to see created reality for what it truly was in the sight of God – rather than what it was in terms of how we might use it or dominate it. And from there grace would lead us forward into true ‘theology’, the silent gazing upon God that is the goal of all our discipleship. In this perspective, contemplation is very far from being just one kind of thing that Christians do: it is the key to prayer, liturgy, art and ethics, the key to the essence of a renewed humanity that is capable of seeing the world and other subjects in the world with freedom – freedom from self-oriented, acquisitive habits and the distorted understanding that comes from them. To put it boldly, contemplation is the only ultimate answer to the unreal and insane world that our financial systems and our advertising culture and our chaotic and unexamined emotions encourage us to inhabit. To learn contemplative practice is to learn what we need so as to live truthfully and honestly and lovingly. It is a deeply revolutionary matter. In his autobiography Thomas Merton describes an experience not long after he had entered the monastery where he was to spend the rest of his life (Elected Silence, p.303). He had contracted flu, and was confined to the infirmary for a few days, and, he says, he felt a ‘secret joy’ at the opportunity this gave him for prayer – and ‘to do everything that I want to do, without having to run all over the place answering bells.’ He is forced to recognise that this attitude reveals that ‘All my bad habits…had sneaked into the monastery with me and had received the religious vesture along with me: spiritual gluttony, spiritual sensuality, spiritual pride.’ In other words, he is trying to live the Christian life with the emotional equipment of someone still deeply wedded to the search for individual satisfaction. It is a powerful warning: we have to be every careful in our evangelisation not simply to persuade people to apply to God and the life of the spirit all the longings for drama, excitement and self-congratulation that we so often indulge in our daily lives. It was expressed even more forcefully some decades ago by the American scholar of religion, Jacob Needleman, in a controversial and challenging book called Lost Christianity: the words of the Gospel, he says, are addressed to human beings who ‘do not yet exist’. That is to say, responding in a life-giving way to what the Gospel requires of us means a transforming of our whole self, our feelings and thoughts and imaginings. To be converted to the faith does not mean simply acquiring a new set of beliefs, but becoming a new person, a person in communion with God and others through Jesus Christ. Contemplation is an intrinsic element in this transforming process. To learn to look to God without regard to my own instant satisfaction, to learn to scrutinise and to relativise the cravings and fantasies that arise in me – this is to allow God to be God, and thus to allow the prayer of Christ, God’s own relation to God, to come alive in me. Invoking the Holy Spirit is a matter of asking the third person of the Trinity to enter my spirit and bring the clarity I need to see where I am in slavery to cravings and fantasies and to give me patience and stillness as God’s light and love penetrate my inner life. Only as this begins to happen will I be delivered from treating the gifts of God as yet another set of things I may acquire to make me happy, or to dominate other people. And as this process unfolds, I become more free—to borrow a phrase of St Augustine (Confessions IV.7)—to ‘love human beings in a human way’, to love them not for what they may promise me, to love them not as if they were there to provide me with lasting safety and comfort, but as fragile fellow-creatures held in the love of God. I discover (as we noted earlier) how to see other persons and things for what they are in relation to God, not to me. And it is here that true justice as well as true love has its roots. The human face that Christians want to show to the world is a face marked by such justice and love, and thus a face formed by contemplation, by the disciplines of silence and the detaching of the self from the objects that enslave it and the unexamined instincts that can deceive it. If evangelisation is a matter of showing the world the ‘unveiled’ human face that reflects the face of the Son turned towards the Father, it must carry with it a serious commitment to promoting and nurturing such prayer and practice. It should not need saying that this is not at all to argue that ‘internal’ transformation is more important than action for justice; rather, it is to insist that the clarity and energy we need for doing justice requires us to make space for the truth, for God’s reality to come through. Otherwise our search for justice or for peace becomes another exercise of human will, undermined by human self-deception. The two callings are inseparable, the calling to ‘prayer and righteous action’, as the Protestant martyr Dietrich Bonhoeffer put it, writing from his prison cell in 1944. True prayer purifies the motive, true justice is the necessary work of sharing and liberating in others the humanity we have discovered in our contemplative encounter. Those who know little and care less about the institutions and hierarchies of the Church these days are often attracted and challenged by lives that exhibit something of this. It is the new and renewed religious communities that most effectively reach out to those who have never known belief or who have abandoned it as empty and stale. When the Christian history of our age is written especially, though not only, as regards Europe and North America—we shall see how central and vital was the witness of places like Taizé or Bose, but also of more traditional communities that have become focal points for the exploration of a humanity broader and deeper than social habit encourages. And the great spiritual networks, Sant’ Egidio, the Focolare, Communione e Liberazione, these too show the same phenomenon; they make space for a profounder human vision because in their various ways all of them offer a discipline of personal and common life that is about letting the reality of Jesus come alive in us. And, as these examples show, the attraction and challenge we are talking about can generate commitments and enthusiasms across historic confessional lines. We have become used to talking about the imperative importance of ‘spiritual ecumenism’ these days; but this must not be a matter of somehow opposing the spiritual and the institutional, nor replacing specific commitments with a general sense of Christian fellow-feeling. If we have a robust and rich account of what the word ‘spiritual’ itself means, grounded in scriptural insights like those in the passages from II Corinthians that we noted earlier, we shall understand spiritual ecumenism as the shared search to nourish and sustain disciplines of contemplation in the hope of unveiling the face of the new humanity. And the more we keep apart from each other as Christians of different confessions, the less convincing that face will seem. I mentioned the Focolare movement a moment ago: you will recall that the basic imperative in the spirituality of Chiara Lubich was ‘to make yourself one’ – one with the crucified and abandoned Christ, one through him with the Father, one with all those called to this unity and so one with the deepest needs of the world. ‘Those who live unity … live by allowing themselves to penetrate always more into God. They grow always closer to God … and the closer they get to him, the closer they get to the hearts of their brothers and sisters’ (Chiara Lubich: Essential Writings, p.37). The contemplative habit strips away an unthinking superiority towards other baptised believers and the assumption that I have nothing to learn from them. Insofar as the habit of contemplation helps us approach all experience as gift, we shall always be asking what it is that the brother or sister has to share with us – even the brother or sister who is in one way or another separated from us or from what we suppose to be the fullness of communion. ‘Quam bonum et quam jucundum …’. In practice, this might suggest that wherever initiatives are being taken to reach out in new ways to a lapsed Christian or post-Christian public, there should be serious work done on how such outreach can be grounded in some ecumenically shared contemplative practice. In addition to the striking way in which Taizé has developed an international liturgical ‘culture’ accessible to a great variety of people, a network like the World Community for Christian Meditation (JVDH www.wccm.co.za ), with its strong Benedictine roots and affiliations, has opened up fresh possibilities here. What is more, this community has worked hard at making contemplative practice accessible to children and young people, and this needs the strongest possible encouragement. Having seen at first hand—in Anglican schools in Britain—how warmly young children can respond to the invitation offered by meditation in this tradition, I believe its potential for introducing young people to the depths of our faith to be very great indeed. And for those who have drifted away from the regular practice of sacramental faith, the rhythms and practices of Taizé or the WCCM are often a way back to this sacramental heart and hearth. What people of all ages recognise in these practices is the possibility, quite simply, of living more humanly – living with less frantic acquisitiveness, living with space for stillness, living in the expectation of learning, and most of all, living with an awareness that there is a solid and durable joy to be discovered in the disciplines of self-forgetfulness that is quite different from the gratification of this or that impulse of the moment. 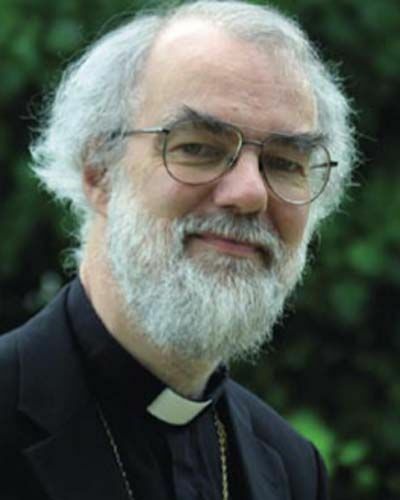 Unless our evangelisation can open the door to all this, it will run the risk of trying to sustain faith on the basis of an un-transformed set of human habits – with the all too familiar result that the Church comes to look unhappily like so many purely human institutions, anxious, busy, competitive and controlling. In a very important sense, a true enterprise of evangelisation will always be a re-evangelisation of ourselves as Christians also, a rediscovery of why our faith is different, transfiguring – a recovery of our own new humanity. And of course it happens most effectively when we are not planning or struggling for it. To turn to de Lubac once again, ‘He who will best answer the needs of his time will be someone who will not have first sought to answer them’ (op. cit. pp.111-2); and ‘The man who seeks sincerity, instead of seeking truth in self-forgetfulness, is like the man who seeks to be detached instead of laying himself open in love’ (p.114). The enemy of all proclamation of the Gospel is self-consciousness, and, by definition, we cannot overcome this by being more self-conscious. We have to return to St Paul and ask, ‘Where are we looking?’ Do we look anxiously to the problems of our day, the varieties of unfaithfulness or of threat to faith and morals, the weakness of the institution? Or are we seeking to look to Jesus, to the unveiled face of God’s image in the light of which we see the image further reflected in ourselves and our neighbours? That simply reminds us that evangelisation is always an overflow of something else – the disciple’s journey to maturity in Christ, a journey not organised by the ambitious ego but the result of the prompting and drawing of the Spirit in us. In our considerations of how we are once again to make the Gospel of Christ compellingly attractive to men and women of our age, I hope we never lose sight of what makes it compelling to ourselves, to each one of us in our diverse ministries. So I wish you joy in these discussions – not simply clarity or effectiveness in planning, but joy in the promise of the vision of Christ’s face, and in the fore-shadowings of that fulfilment in the joy of communion with each other here and now.